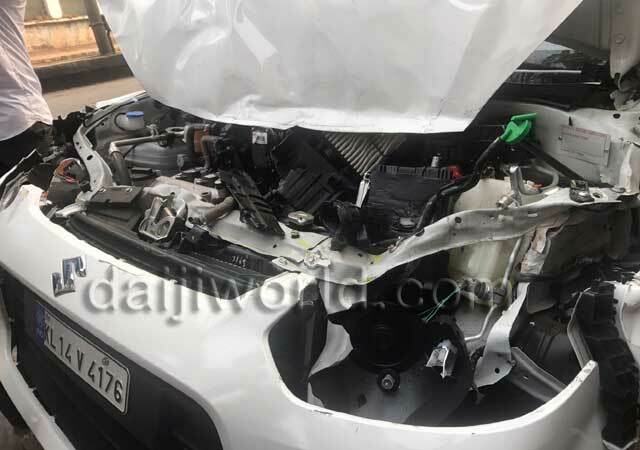 Mangaluru, Jan 27, 2018: A KSRTC bus from Kerala, an Alto car and a tourist bus collided near the Ambedkar Circle in the city on January 27, Saturday morning at around 8 am. The KSRTC bus and the Alto car were moving in the same direction while the tourist bus was heading towards State Bank when the mishap took place. It is said the driver of the KSRTC bus applied brakes all of a sudden resulting in the collision with the car from the rear. The tourist bus in turn hit the car. Traffic was affected on the road for some time owing to the mishap.